Johnnie Kleinschmidt, PT, PRPC graduated from the University of Tennessee, Memphis. She is the owner of Motion Mentors, LLC, specializing in Pelvic Health, Women's Health, and Integrative Corrective Exercise. She has been practicing physical therapy since 1994. She has a pelvic rehabilitation certification through Herman and Wallace Pelvic Rehabilitation Institute and is a recent graduate of The Integrative Systems Model with Diane Lee. She is currently the only certified pelvic rehabilitation and ISM trained Practitioner in Southwest Louisiana and Southeast Texas. She is trained in treating men, women and children with any pelvic dysfunction, as well as Orthopaedic and other traditional physical therapy diagnoses. Johnnie is currently working in Lake Charles, Louisiana, and has experience in many disciplines of physical therapy including: orthopaedics, sports medicine, acute care, inpatient rehab, pediatrics, geriatrics, and wound care. She was the first physical therapist in Louisiana to become a certified pelvic rehabilitation Practitioner through the Herman and Wallace Pelvic Rehabilitation Institute. 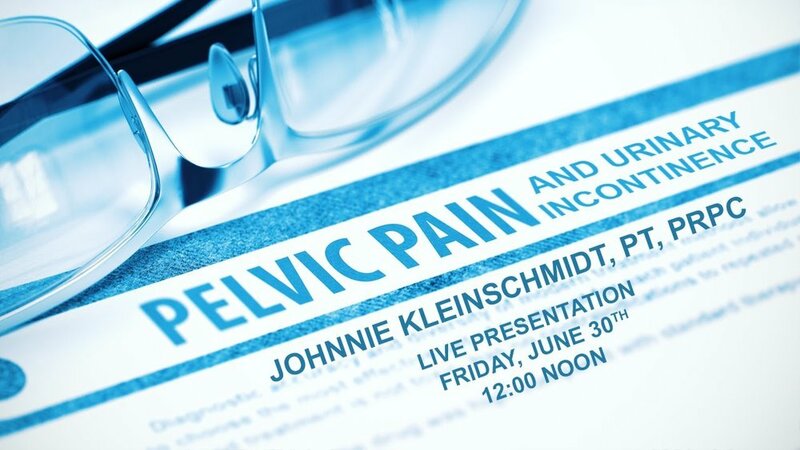 "Pelvic Pain and Urinary Incontinence"
Our specialties include the following: Athlete and pelvic floor, dysfunction of hip and pelvis, Bowel pathology and dysfunction, coccyx pain, chronic pelvic pain, geriatric pelvic floor rehab, hip labrum injury/rehabilitation, Male/Female/pediatric pelvic floor dysfunction, sacroiliac joint pain/dysfunction, Vulvodynia, post-prostatectomy rehabilitation, care of pregnant women, treatment of pudendal neuralgia, neuropathy and entrapment, treatment of urinary incontinence, treatment of dyspareunia, and treatment of interstitial cystitis. To ensure the highest standard of care with each treatment session being 50 minutes of one-on-one manual and/or exercise therapy with a licensed physical therapist. Using a soft touch which is generally no greater than 5 grams – about the weight of a nickel – practitioners release restrictions in the soft tissues that surround the central nervous system. CST is increasingly used as a preventive health measure for its ability to bolster resistance to disease, and it’s effective for a wide range of medical problems associated with pain and dysfunction.